Melloderm-HQ Review 2018: Ingredients, Side Effects, Detailed Review And More. 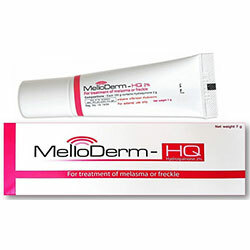 Melloderm is a skin lightening product used as a spot treatment for hyper pigmented spots and areas of the skin. This cream is recommended for lightening freckles, age spots, melasma and other skin darkening issues that will benefit from a spot treatment. Melloderm – Does It Really Work? Does Melloderm Have Any Side Effects? Improve dark spots, freckles and melasma, among many other possible hyperpigmentation issues. It helps inhibit melanin, which causes your skin to lose the dark pigments so it dark areas can become lighter. This product’s active ingredient is hydroquinone. Once touted to be the gold standard of skin whitening, this ingredient works by blocking the production of tyrosinase, the enzyme that causes the production of melasma. By doing so, your skin produces less melanin which causes your hyper pigmented spots to lighten. Hydroquinone (2.0%): This active ingredient inhibits the production of melanin, causing the treatment area to become lighter. Use MelloDerm every night only. Spot treat affected areas by spreading a thin layer of the cream, making sure that all affected areas are covered thoroughly. 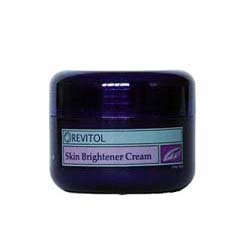 To use as a general skin lightening agent, dilute cream in lotion and spread on skin all over your body. Apply product on affected areas of your skin only after cleansing and toning at night. To improve the results of this treatment solution, make sure to complement with regular and consistent application of sunscreen during the day. 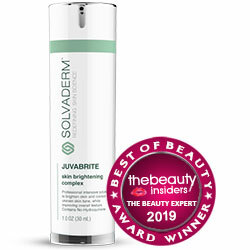 This product makes use of an ingredient approved by the FDA for lightening skin. The 2% hydroquinone concentration permits the distribution of this product over-the-counter, without prescription. This product is easy to use whether you choose to use it as a spot corrector or as a general skin whitener by combining it with your body lotion or facial moisturizer. This product, if you can find a source, is very inexpensive. Hydroquinone is relatively well tolerated by most people. Hydroquinone has been phased out in many countries, including in Europe, because of reports that it is a potentially cancerous ingredient. This product appears to have a limited distribution network, although it becomes occasionally available on major reseller websites. This product is not sold in physical stores, and is only available online. The full list of ingredients is not disclosed. There is neither an official product or manufacturer website where more information about this product would have been available. Hydroquinone safety has been the subject of debates. In recent years, evidence has been building up regarding its toxicity and potential carcinogenic effect when topically applied. Make sure to research more about this suject. Melloderm, without doubt, will bring about positive improvements to hyperpigmented areas of your skin. Its key ingredient, hydroquinone, has been proven to lighten skin by inhibiting a crucial enzyme involved in melanin production. What’s not certain is if hydroquinone’s safety profile is worth risking your life and limb for. Nevertheless, this product provides a viable option for skin lightening although, there are other ways by which you can lighten your skin tone. What is the Price of Melloderm? Melloderm is priced at $16 for a 7 g tube. Where to buy Melloderm? This product is sold on major reseller sites. Does Melloderm come with money back guarantee? There is no mention of any money back guarantee coverage anywhere. Is Melloderm approved by the FDA? This product is formulated with hydroquinone at exactly 2.0% concentration. At this level, the FDA does not require the manufacturer to submit proof of efficacy and safety. The FDA has also previously approved hydroquinone for purposes of skin lightening. Who Should Use Melloderm? This product provides a skin lightening solution to men and women who suffer from hyper pigmentation, such as freckles, melasma, and even generally to lighten your overall skin tone. Should I use the Melloderm once or twice daily? This cream must only be used once daily. To experience more visible improvements to your skin tone sooner, apply the product at night, following a thorough cleanse and toning. How long does one bottle of Melloderm last? Duration of finishing a tube is variable, length of time will depend on the severity of the hyperpigmented skin and the size of the application area. How long will results last? Results experienced is variable and may differ across users. Results may be permanent and lasting although, the possibility of recurrence after discontinuing product use is remains. Can I use the Melloderm with makeup? Yes, just make sure to apply it as close to your skin as possible, ideally after cleansing and toning your skin. Make sure to allow some time for the product to become absorbed by your skin before layering it with cosmetics.